September 18, 2015 — When I watch a movie, I always wonder two things: “Where was it filmed?” and—if it happens to be in the genres of science fiction, fantasy, or horror (and it invariably is)—“What happened to all the props?” It completely damages my movie experience, unfortunately. But, whatever. One man’s damage is another man’s diversion. Finding out where a movie was filmed is easy. The end credits give clues, so does IMDb.com. And, of course, there’s always some intrepid location junkie blazing the trail online. Also, the answer is invariably Canada. But props. Props are hard. At the end of their scenes, props end up in dusty warehouses and disgusting dumpsters, stolen by actors and crew, secreted in the drawing rooms of wealthy private collectors. There’s no way to track them. Except at auctions, where they pop up whenever a collector dies or needs cash. And I was recently tipped off to a doozy of an auction. From the Profiles in History house (which once upon a time had its own SyFy reality show) comes Hollywood Auction 74, which takes place September 29 through October 1 and is almost a microcosm of cinema history. It seems like props from every movie are present in this auction, from Citizen Kane to Planet of the Apes to Back to the Future and The Lord of the Rings. The only reason I want to be rich is so I can buy this kind of stuff. Also, all the other benefits of being rich. 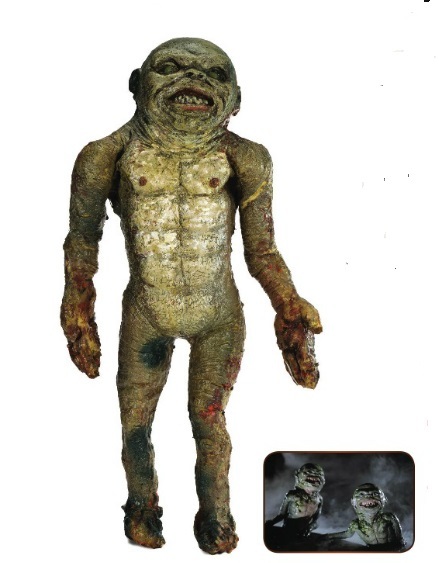 Since it’s the horror season, I picked a selection of amazing horror movie props from the auction to highlight. But you should know, this entire post is just an excuse to talk about the first prop on this list. That this 1960 prop is out there being circulated will go a long way in helping me get out of bed every morning. The world is just a better place for its existence. How could it not be? It’s the actual front door to the iconic house of one of the most important movies in both horror and cinema history. Psycho is one of my supreme cinema joys in life. If it were constantly played on a loop three inches behind my head, my life would be better. And that house, that marvelous Victorian house. It’s my answer to every inkblot test. I mean, Alfred Hitchcock knocked on this door. Anthony Perkins walked through this door. Elvira partied near this door. And it gets better. 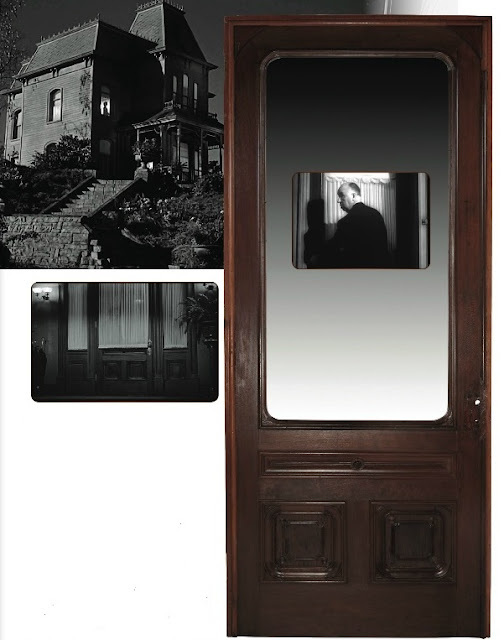 At one point, this very door was installed at the Dallmann-Kniewel Funeral Home in Rib Lake, Wisconsin. That’s the state where Ed Gein did his depravity, a depravity that inspired Robert Bloch in creating the character of Norman Bates in the first place. How freaking right is that? The $20-30K estimate might sound large, but this slab of wood and glass is worth another mortgage on your house, worth working a second or third job for, worth going into massive credit card debt for. Please, whoever buys this, don’t be a jerk and squirrel it away. Give it its own Twitter account. Not quite the icon that the Bates Mansion is, this reptilian piece of foam from 1984 exquisitely represents a major reason why I love props. Even a terrible movie can yield the most beautiful of props. And this prop is beautiful. Like bouquets of flowers and summer sunsets beautiful. And the bonus is that it’s autographed by designer John Carl Buechler and producer Charles Band. From the second Hellraiser movie, the 1988 Hellraiser: Hellbound, this Lament Configuration can be yours. This particular works out if you’re into skinless chicks and hooks in your epidermis. If you own this black and gold cube, you’ll never have to wear a horror T-shirt, because your fandom is 100% certified. The late, great, Christopher Lee wore this. In 1976. His named is typed onto the label. That’s all you need to know to see how undervalued that $1,500 estimate is. 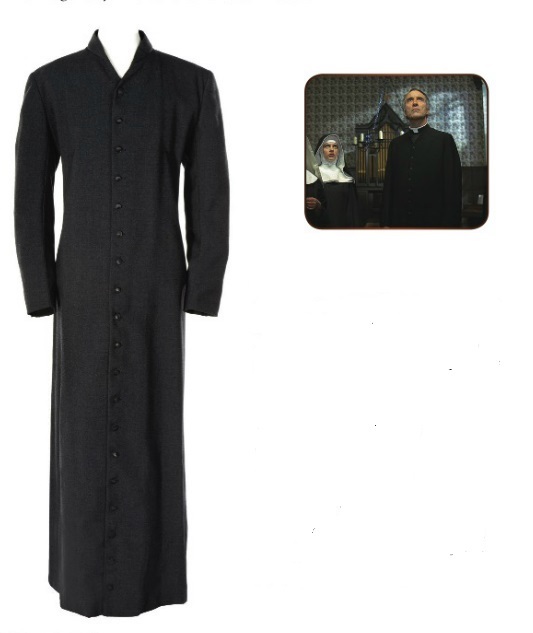 And the fact that he wore it in a movie where he played a Catholic priest who worships Satan means that you shouldn’t just put it in your collection, you should put it in your wardrobe. This prop has seen better days, but its value is still completely apparent. It’s the defining head appliance for the main character of the 1960s monster-themed television show, The Munsters. 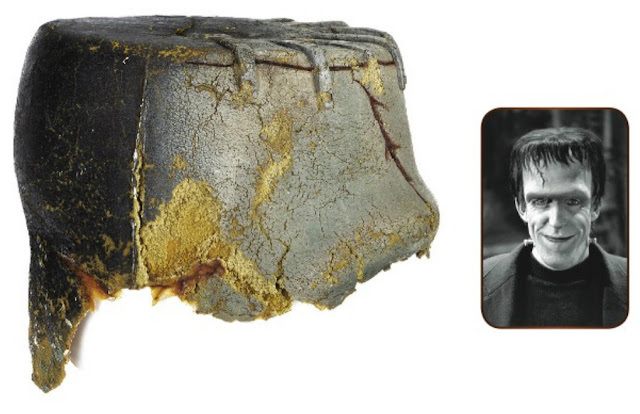 The only caveat is that if you buy Herman Munster's head, you have to wear it. For the record, I wrestled with choosing this prop from the catalog or the hat worn by Uncle Gilbert from the same show. I might have chosen...poorly. Here’s another reason why I love props. 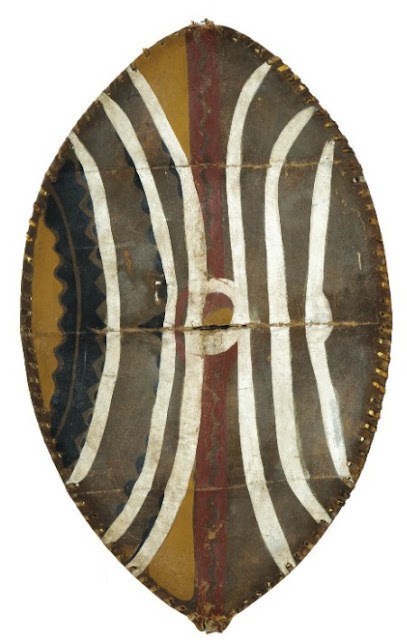 This shield is an extremely minor part of an extremely major movie, the 1933 King Kong. That basically sanctifies it. It was also used in other RKO productions as well, and, since it dates back to the 1930s, the thing is almost valuable as an antique. Buy it for your grandmother. To call this item a prop feels extremely wrong. This H.R. Giger designed cranium for Ridley Scott’s 1979 Alien is art. 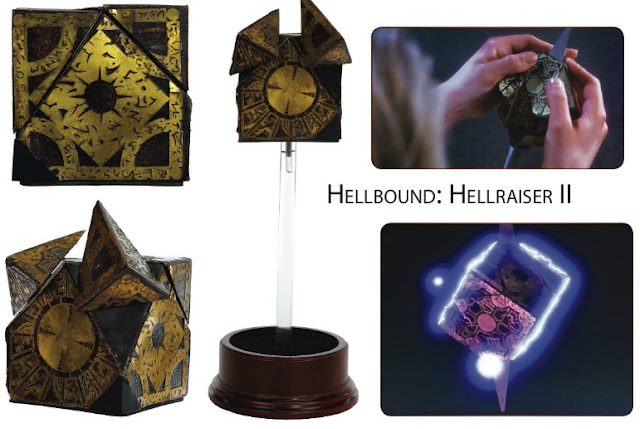 It's something to mount above your mantel and protect with those red laserbeam tripwires they used to have in movies. 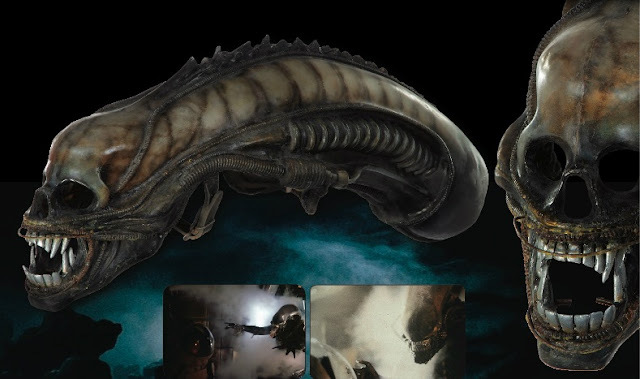 The auction features a few Alien props, including Sigourney Weaver’s white tank top. This is just a great prop. 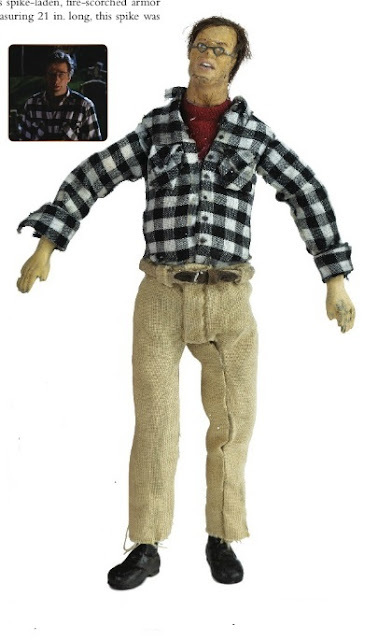 Like, you could own Alec Baldwin himself dressed in black and white plaid and khakis and it still wouldn’t be as cool as this scaled figure used in the 1988 movie. Plus, owning anything from Beetlejuice means you’re one of the elite that will be saved by the government when the apocalypses happens. The auction catalog had a couple pages’ worth of 1975 Jaws props, and I had a difficult time settling on which one I would steal if I had those kind of skills. 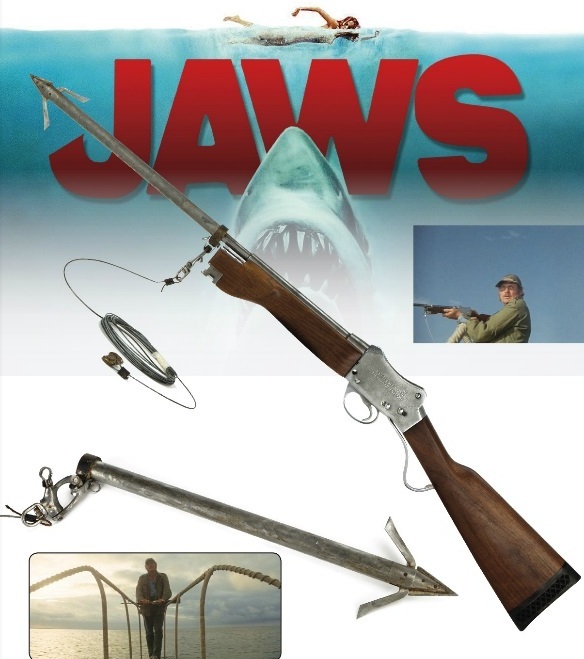 I eventually settled on Quint’s spear gun because, well, spear guns are awesome even if they aren’t pieces of one of the most important films in human history. The piece has the same estimate as the Alien head, which goes to show the power of a badly working mechanical shark and a young Jewish lad with an uncanny ability to tap into the American consciousness. Man, this movie takes me back. I sort of feel like this movie was my last gasp before I got old and jaded and all the movies I’d seen in my life melded together into an inextricable blob of dimly lighted memory. 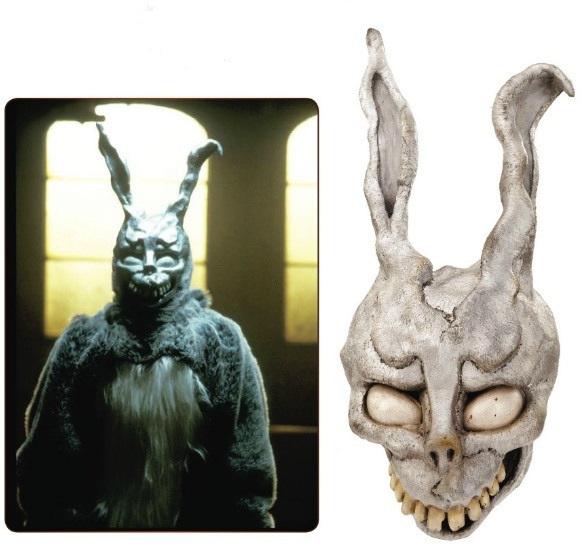 Regardless, if you buy this Frank the Bunny mask, I entreat you to walk into your friend’s bedroom at midnight while softly speaking cryptic things. 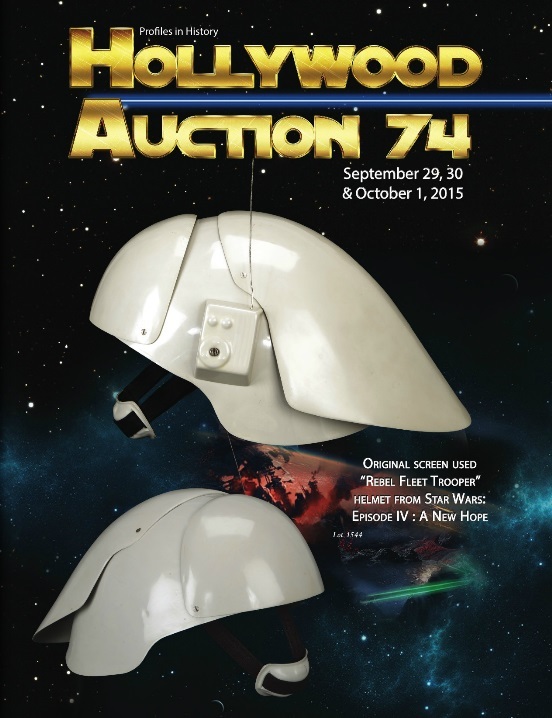 The entire auction catalog is online, so check it out. Plenty more horror props in there, plus pieces of every other genre of movie and TV.